Hear from the co-founders of these revolutionary new speaker cabinets in this lighthearted, beer swilling, laugh infested interview. It's a bit unorthodox, but then again, so are the cabinets. Blackport is an alternative to the standard speaker cabinet. Its deceptively simple design actually gives you two speaker cabinets in one; the sound changes depending on how you position it, going from a heavy bottom to more of a jazz feel. Use 2 cabs and you get a multitude of sound configurations to choose from. Not only does a Blackport cabinet enhance the sound, its aesthetics enhance the back line too. With 30 colors to choose from, you can mix and match any combination to customize the look of your cabinet, truly making it your own. Each cabinet is solidly constructed in Metro Detroit using only the finest materials made in the U.S.A. In this interview, you'll here from loyal customers Adam Pulver, bassist for Sick Smile, and Charlie Milkey, bassist for Orchyd, as they share their sentiments for these cabs. In addition, many others have discovered these game changing cabs like renowned bassist Bill Clements, of the Bill Clements Axiom, and Skid Marx, from The Seatbelts and Circus Boy. These cabs currently come in 2 configurations, a bass cab sporting a 15" driver, weighing in at only 45 pounds, and a guitar cab equipped with a 12" driver, weighing only 37 pounds. Plans are in the works for a smaller version that will adorn an 8" cone for an even more compact guitar rig. The amazing thing about these cabs is that they will stand up to multi-cone, front loaded cabinets all day long. 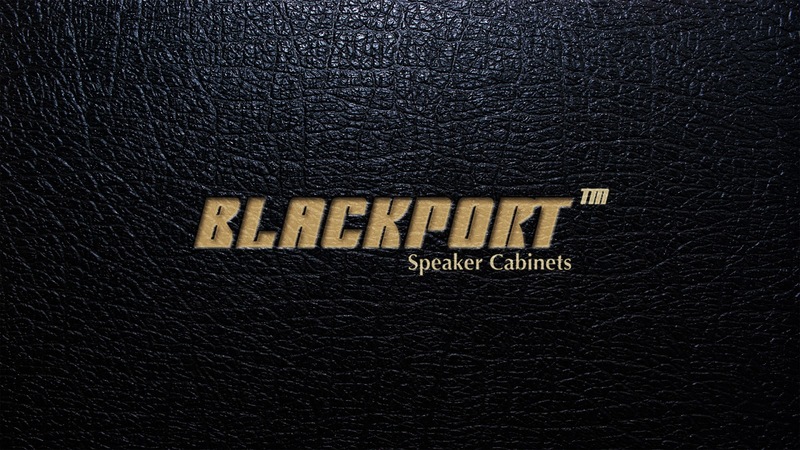 Check out Blackport Speaker Cabinets today! My iPhone quickly recognized it and I allowed it to pair with the Pocket Speaker. My first reaction was, "Wow this is loud!" I actually had to turn it down. My second thought, was, "This has great sound." The video I shot below shows the decibel level of the coming from the speaker. You can see for yourself how loud it is.